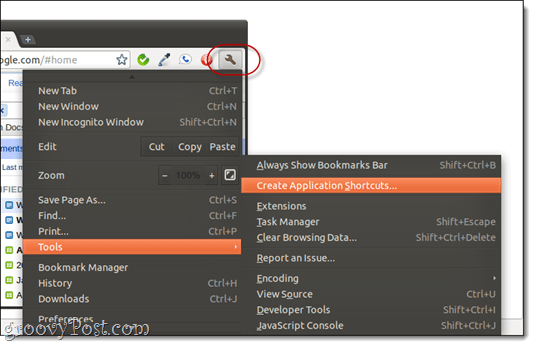 Earlier, grooveDexter showed you how to pin websites to the Windows taskbar using Chrome. 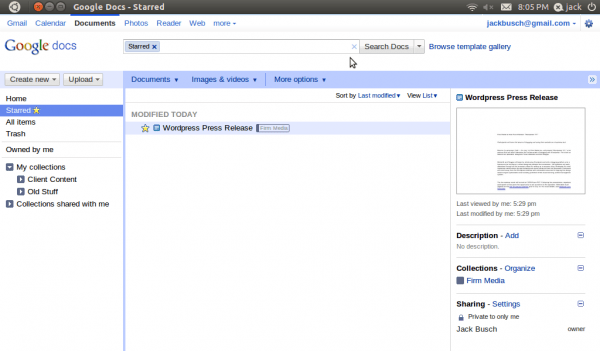 That feature exists for the Linux version of Chrome in Ubuntu 11.04 Natty Narwhal, but because of the new Unity desktop environment, there’s an extra step involved. 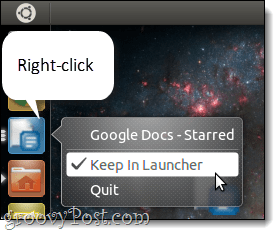 The overall process is similar to adding document shortcuts to the Unity launcher. I’ll show you how step-by-step. In the Create Application Shortcuts dialog, Check Desktop and Click Create. 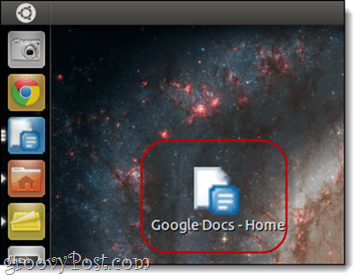 Go to your desktop and Launch your new Google Docs application shortcut by Double-clicking it. Right-click the Google Docs shortcut and Click Keep in Launcher. Now, the Google Docs application will stick around in your Unity launcher. When you launch it, it’ll open in a special Chrome window without all the extra junk along the top. 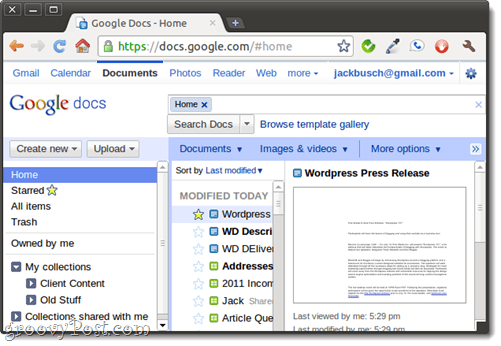 Also, it’ll be independent from other Chrome windows. 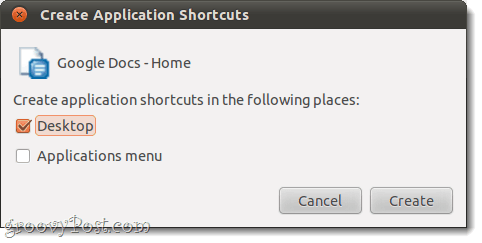 You should note that if you delete the app shortcut from your desktop, it’ll disappear from the Unity launcher, too. If the clutter bugs you, then create a folder for all of your shortcuts and keep them in there. Be sure to move them to that folder before you add them to your Unity launcher.